All steps taken from April 25, 2018 in respect of ownership transfer of Etisalat International Nigeria Limited (9mobile) to Teleology Nigeria Limited were yesterday voided by a Federal High Court in Abuja which set aside the sale of the telecommunication firm. Justice Binta Nyako voided all steps taken in relation to the exchange of ownership of Etisalat, despite pending orders for maintenance of status quo, restraining parties to a suit involving investors and other stakeholders from destroying the res (subject matter). Justice Nyako, who noted that parties were all aware of the suit, the defendants having been served between April 24 and 27, 2018 with the originating process, faulted the sale, as claimed by the plaintiffs in a motion filed on November 16, 2018. The April 1 ruling (a copy of which was sighted yesterday) was in a suit filed on April 6, 2018 by two major investors in Etisalat —Afdin Ventures Limited and Dirbia Nigeria Limited. Afdin and Dirbia, whose investment in Etisalat is estimated at $43, 033,950, had approached the court to retrieve their investments on the grounds that they were aggrieved, having been excluded from the company’s decision making process. They said: “In 2009, the plaintiffs/applicants purchased a total of 4,303,391 class “A” shares from the 1st, 2nd and 5th defendants (Karlingtton, Premium Telecommunication and Etisalat International) at the rate of $43, 033,950 only, and were issued with share certificates. Justice Nyako adjourned hearing in the substantive suit to June 12. 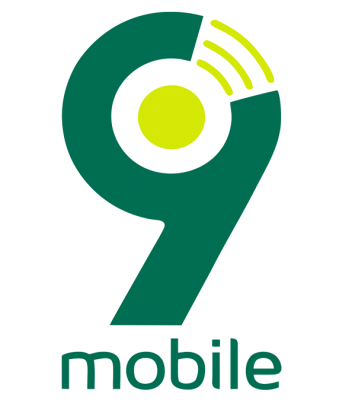 Emerging Markets Telecommunication Services Ltd. (trading as 9mobile) management yesterday refuted reports that a Federal High Court sitting in Abuja has nullified the sale of EMTS to Teleology Nigeria Limited. The telco described the reports as incorrect, misleading, mischievous and a total falsehood. Company Secretary/Legal Adviser Ore Olajide said the Federal High Court did not nullify the sale of EMTS, adding that the court had on April 1, 2019 made an order for parties to maintain status quo as at April 25, 2018. As at the said date, 9mobile was not a party to the suit before the court. Olajide said the action before Justice Binta Nyako of the Federal High Court was not about the sale of EMTS (9mobile) but rather, the transfer of its licence even without locus standi. He said EMTS (9mobile) has, however, appealed the order and also sought an injunction pending appeal at the Court of Appeal.